The ability to deliver an effective email is critical in today’s selling scene. Phone calls are proving ineffective, taking an average of 22.5 dials before meaningful contact is made. The voicemail is on it way out too, with companies such as Coca-Cola and JP Morgan eliminating it from their communication entirely. This tells us that connecting through email is more important than ever. 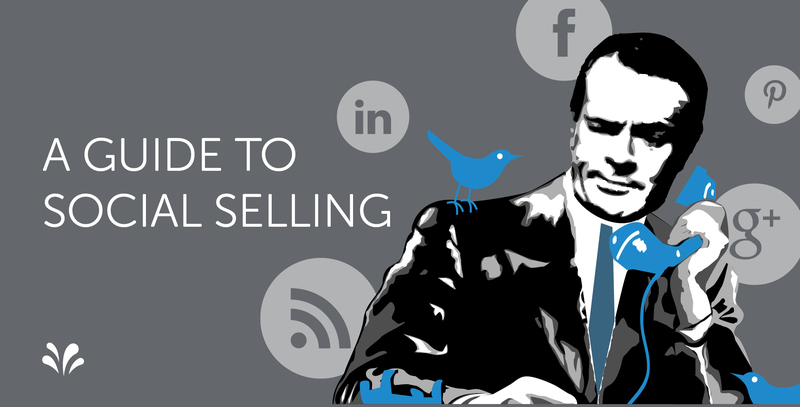 But thanks to marketing automation, buyers are being inundated with hundreds of emails a day. And although it’s tempting to spray and pray, we all know that method is ineffective. It’s not sending emails, whether it be 10 or 100, that matters. What matters is getting a response- and a meaningful one at that. Because if you can start a conversation, you’ve successfully broken through, meaning your chance of closing that deal increase exponentially. 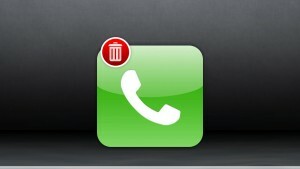 As we’ve said before, if you’re unable to break through the noise, your emails are being ignored. And if you’re going to stand a chance, you need to be different and offer real value. So how? 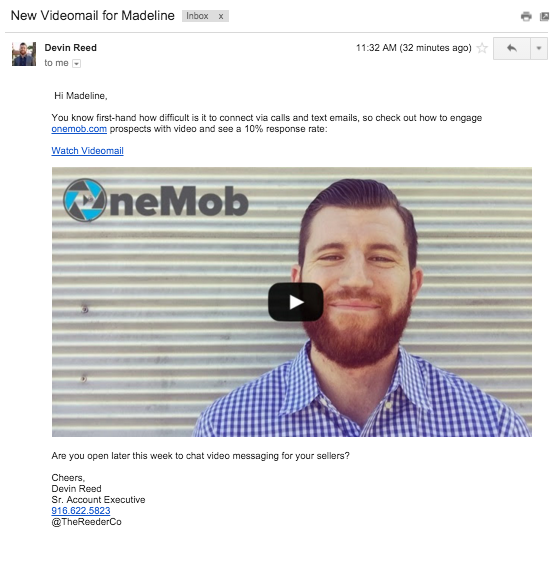 Incorporating video into your email outreach is the solution, but there’s more too it than throwing a YouTube link in the body of an existing email template. We’re here to help you get started by building the perfect prospecting email- from subject to signature line. Shorter email subject lines directly correlate to an increase in open rates, with six to ten-liners finding the most success. 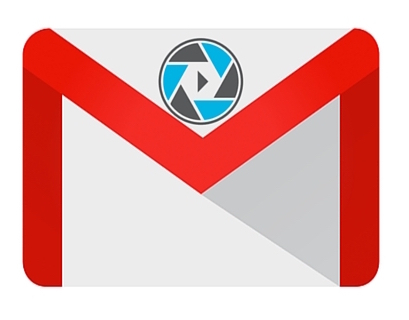 This is tied to mobile, since more than half of emails are read on mobile devices. Most mobile screens and email service providers such as Gmail and Outlook only display the first four to seven words of the subject on mobile, so keep it short and sweet. 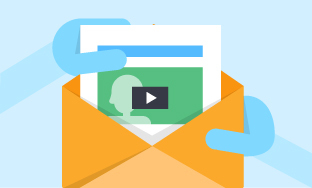 When using video, keep the text portion of your email body brief as well. Use this space to initiate the conversation and lead into your video. Whether you’re breaking in or following up after a cold call, remind prospects why it’s worth their time to speak to you. The body should lead the recipient to watch the video, driving more watches and getting your message both seen and heard. No need to repeat the content of the text and video twice. Keep it down to 1-3 lines, then let your video do the talking- literally. When you send a video through the OneMob platform, you’ll know who opens, watches and responds to your videos. With all this information tracked in your Salesforce account, you’ll gain actionable insights to help you determine the next steps in pursuing your prospect. You’ll also be able to tell which type of videos drive the best results for you- whether they be personal or product focused. Remember that the goal is quality, not quantity. 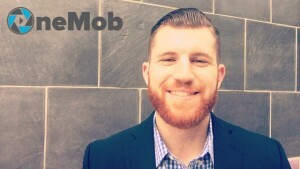 With OneMob, our aim is to help you deliver a unique email experience to your prospects, and in turn receive quality responses that ultimately lead to quicker closed deals and increased revenue. To learn more and start engaging your prospects through video, sign up for a free trial. 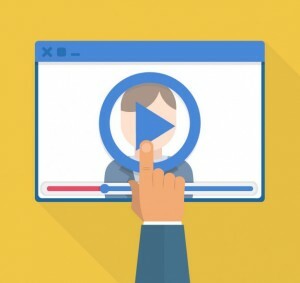 If you think video messaging is just a sales tool, think again. With a little thought and creativity, the possibilities for implementing video in your everyday business applications are endless. Thankfully, we’ve done all the brainstorming for you. 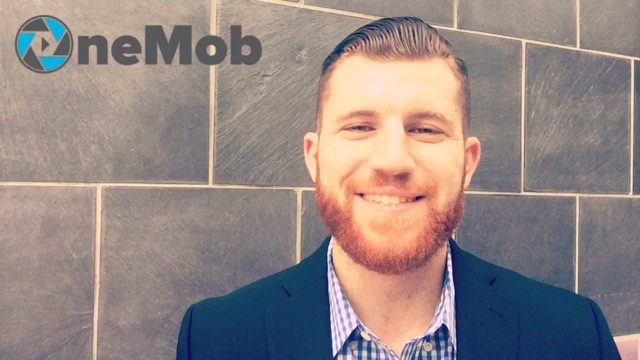 Each week, we’ll bring you fresh ideas on how you can use OneMob everyday, in every way. 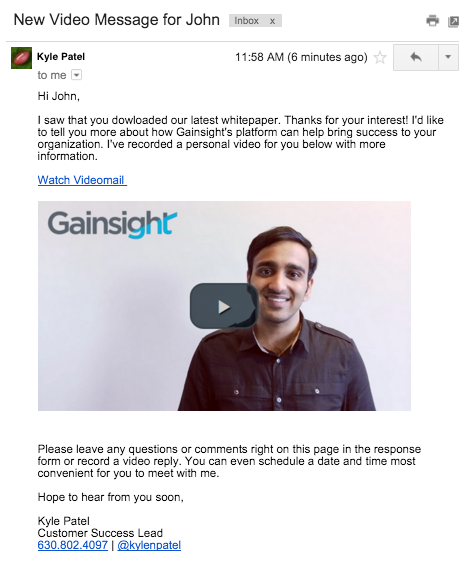 First up: how incorporating a video improves your email signature. For most, email is the main method of workplace communication. 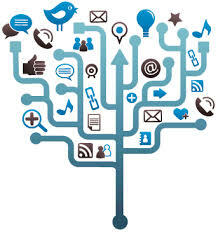 Given its high volume and wide reach, there’s a lot of opportunity for sharing content and increasing brand awareness. Opportunity also lies beyond the message of the email body itself. Maybe the phrase “email signature marketing” rings a bell. You may choose to promote your company’s website, blog, social media channels, upcoming events, new marketing offers, product demo, free consultations, etc. Without making your email signature longer than your actual email message, video is an unexpected but effective medium to share something extra. It’s also beneficial for you as a professional. Adding a video thumbnail makes your signature more attractive and personal, allowing you to really introduce yourself. Most importantly, video helps increase engagement, drive opportunities and promote brand awareness. With OneMob, you have the ability to track this activity, with all the analytics written back to your Salesforce accounts. Make the most of all your digital communications with a personal touch, even in your signature line. 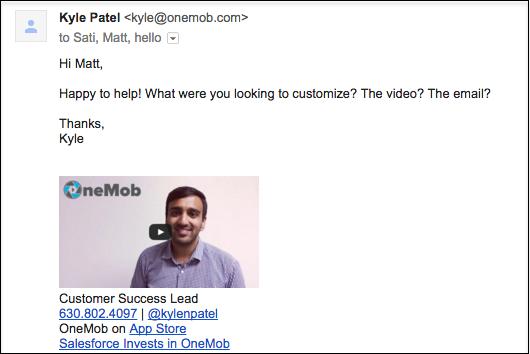 To learn how you can link your OneMobs to your email signature, see our support page. 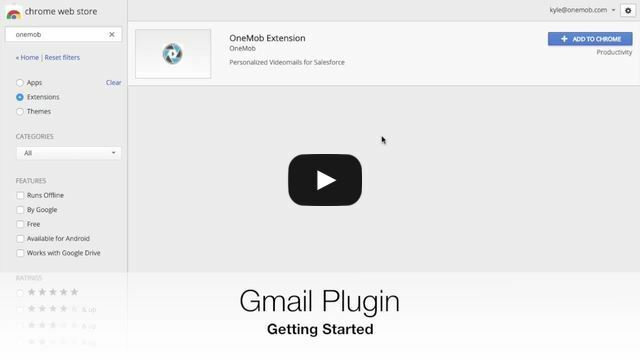 OneMob for Outlook – Request Early Access Now! You asked and we delivered one of the biggest feature requests! 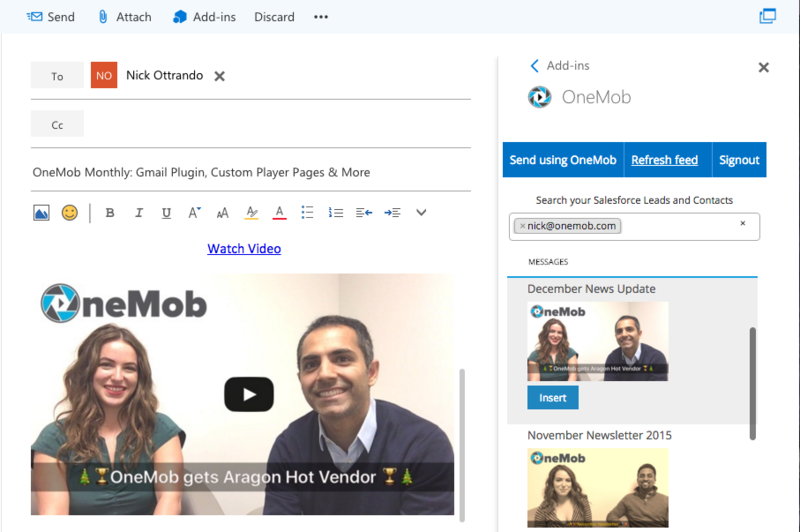 OneMob now offers seamless integration with Outlook. 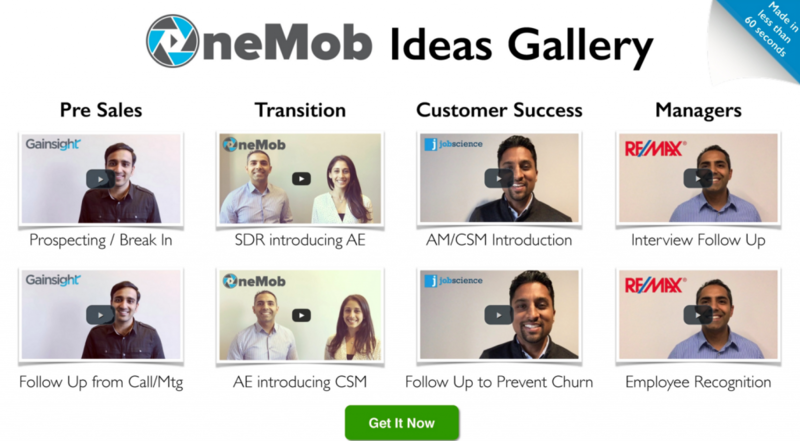 Get early access right now by emailing us at hello@onemob.com. We want your feedback! With the OneMob for Outlook app, you can access all your saved video and voice messages right inside Outlook and easily embed them in any email message you plan to send. For real-time tracking, select which Salesforce Lead(s) and Contact(s) you want to email and you’ll get real-time notifications when your email is opened, message is played and when someone fills out the response form. And everything is tracked back in Salesforce. Send an email today to get started. 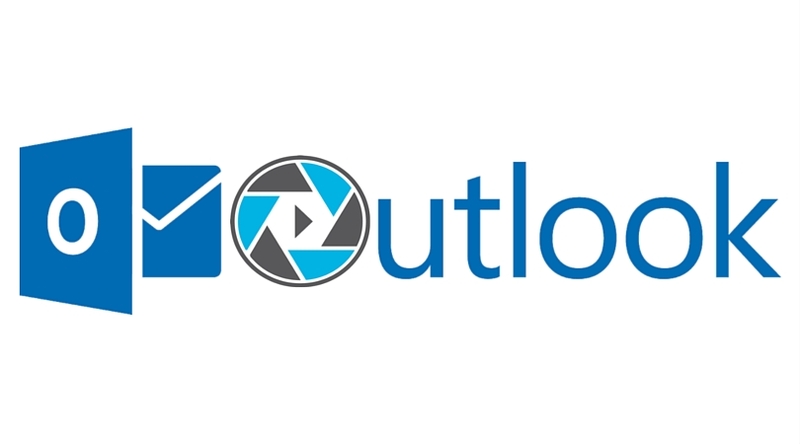 OneMob for Outlook will support Outlook 2013 and Office 365.